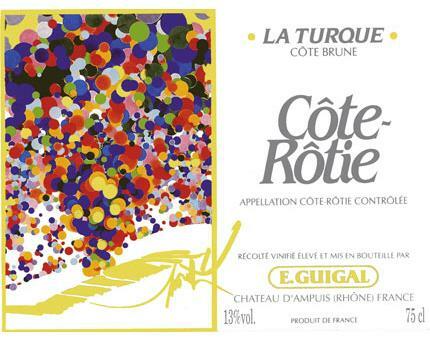 The 2008 Cote Rotie La Turque offers smoky, meaty barbecue notes intermixed with notions of roasted herbs, forest floor and coffee beans. Although lower-keyed and less well-endowed, it is an outstanding 2008, one of the finest wines of this challenging vintage in Cote Rotie. Robert Parker. Plus poivrée que La Mouline, plus de tanins aussi, mais il faudra patienter un petit peu, la finale est assez serrée.